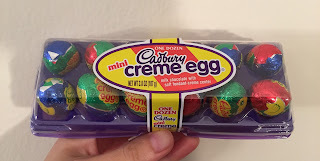 Cadbury Mini Creme Eggs are mini version of Creme Eggs, but I've never had a regular sized chocolate egg, I have no idea how small these minis are. Apparently, Creme Egg is most sold between New Year's Day and Easter in the UK. There're a dozen of individually wrapped mini Creme Eggs. 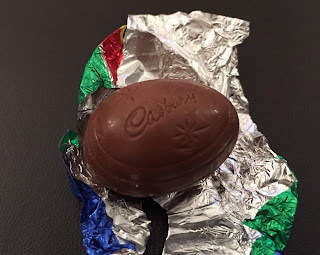 "Cadbury Creme Egg" and chick on the aluminum wrap. It's a bit smaller than an egg of quails but larger than that of cockatiels. 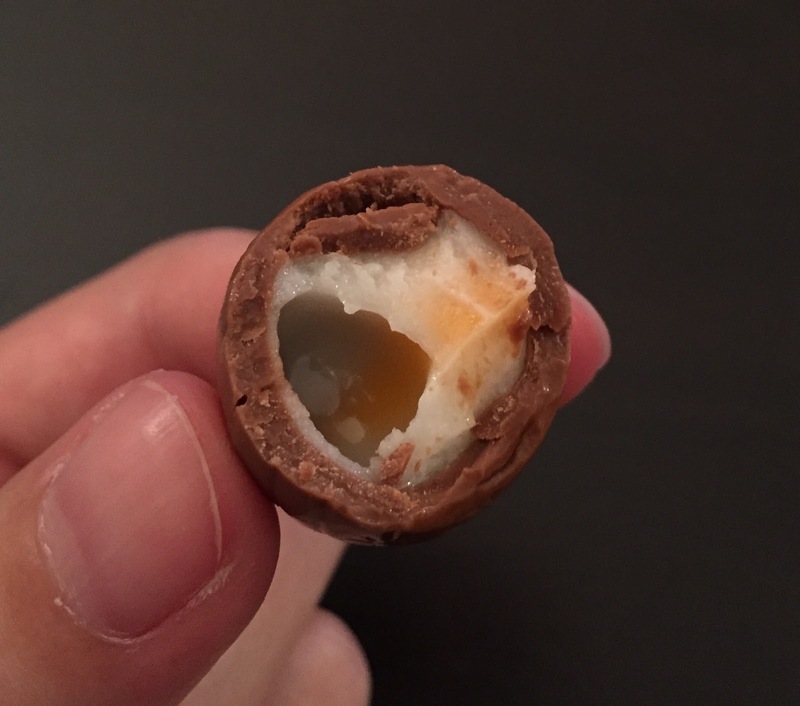 Inside of the chocolate egg, there's white and yellow cream and it looked like real egg (but crushed). The filling was sweet and so was the milk chocolate, yet as it's so tiny, it's perfect when I wanted some little snack.